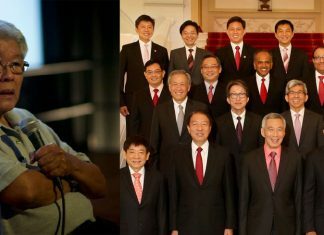 Singapore – A member of the public shared his insights and observations on the current state of the country and questioned the lack of improvements as he felt, since the last General Election which happened almost four years ago. John Ng shared his post on the public Facebook group called “Concerned Citizens that Band Together for a better Singapore” on February 11 and enumerated certain points involving increasing local unemployment, the Central Provident Fund (CPF), and many more. These insights, which have been shared and agreed upon by other netizens, show the issues that those from the ground worry about. Mr. Ng started his post by mentioning how things have changed drastically with no promises being delivered since the last GE. “We only see hikes after hikes, changes to CPF/Medisave/Eldershield and higher and higher local unemployment. Without including PRs as locals, we would be very shocked how high is local unemployment,” he wrote. His accusations were not all unfounded, as according to statistics revealed by the Ministry of Manpower, there were more retrenchments in the second quarter of 2018, with the number of retrenchments between April and June this year rising to 3,030 from 2,320 in the first quarter. This means that retrenchments in the second quarter has went up by over a hefty 30 per cent. He went on to list down some facts that are becoming more and more rampant such as the younger generation experiencing difficulties in owning homes and landing jobs. Secondly, he mentioned that the current state of infrastructure is not capable of accommodating a growing population and commented that Singapore is becoming congested with every inch of land being utilised for housing. He asked how the target of 10 million foreigners in Singapore will be sustainable given the current issues. He also felt priority was being given to foreigners instead of locals. This could be seen from jobs to policies. Locals resort to retraining and obtaining jobs as taxi drivers, security guards, and insurance and property agents. Mr. Ng also shared that to become a plumber, one must need three O-level passes while he alleged that others from a foreign land were given the local jobs. With the elections fast approaching, Mr. Ng ended his post by asking the general public to also consider the next generation during the evaluation process. Access the full post here. Netizens agree that the situation has changed and would continue to worsen if certain actions aren’t taken. The online community is also ready to do their part at the next GE when it comes to taking actions for a positive change in the country.